Something about spring, the more agreeable weather and the additional daylight gets me back on the motivation train. The last few weeks have been marked by significant progress on the new novel, Mystery White Boy, and a couple of great events where people responded well to work both old and new. 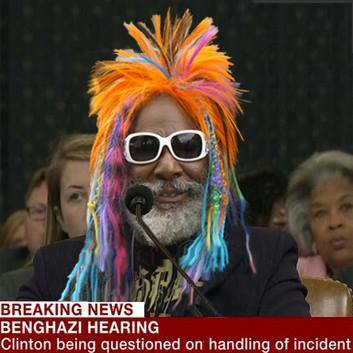 Been hearing a lot about a certain Clinton testifying before Congress for something or other. Pretty sure it’s not this Clinton, though.